Install Signal Messenger App Fake/Disposal mobile number? How to Install Signal Messenger App Fake/Disposal mobile number? 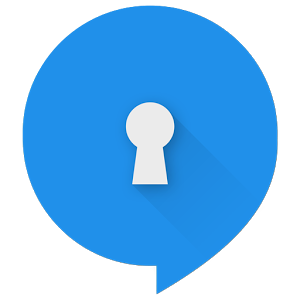 Signal private Messenger app is the best WhatsApp alternative application for calling, videos chatting. But it’s more private. So Install Signal Messenger App Fake/Disposal mobile number? Signal Private Messenger app with duplicate or dummy disposable mobile number so you can prank your friends with foreign mobile numbers. Best features is you can enable or disable screenshot option in signal app. Same like WhatsApp messenger signal app is also have video calling option if you don’t know go to how to activate video call option in signal app. For activating the signal app you need a fake mobile number. How to get disposable mobile number? 1. For getting disposable phone number go to https://smsreceivefree.com/ then copy the mobile. 2. And paste the mobile number without Country code in Signal Application. 3. Selected the correct country code of the mobile number you copied. 4. Now it verify signal app is start to verify your mobile number. 5. Once the first verification step is completed it will start to verify your mobile number. 6. You will receive sms on https://smsreceivefree.com/ but you cannot enter the number on Signal app. So wait for the processing time ending once time ended App will ask another method to verify your mobile number. 7. Now selected call me option and wait for some time you will receive call on https://smsreceivefree.com/ website once the call is completed you will see the call in https://smsreceivefree.com/ site. 8. Now play the audio of your call and enter the One Time Password OTP in your signal app. That is it now you successfully activated the Signal messaging App with fake international mobile number. You can Use any country numbers like United states of America, Canada and India. Note: Never use this mobile number for illegal Purpose because they will track your Ip details for security purpose.